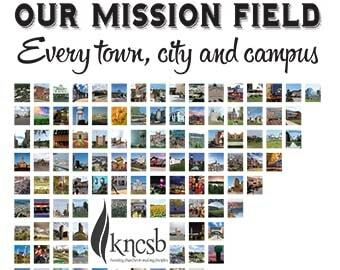 The Viola Webb Missions Offering offering benefits mission causes in the Kansas-Nebraska Convention of Southern Baptists and your local association. Receipts are split 50/50 between KNCSB and the association where the money was given. The offering is named for Viola Webb, who directed Kansas-Nebraska Woman’s Missionary Union for 25 years. Materials in this section are added during the month of August each year as they become available. Choose read more below to access these materials.